Good, clean room, have all the equipment we needed, exelent ,fresh and tasty breakfast, beautiful and peaceful view to the sea, very very kind and nice hosts. We miss Mrs. Dimitras breakfast - most of the days with some new homemade Greek specialty. Splendid view over the see and olive garden. Many nice details - you could really see that there was thought behind everything, and we actually felt like it was a real home. Beautifully maintained with lovely individual furnishing. Good sized rooms - high ceilings. 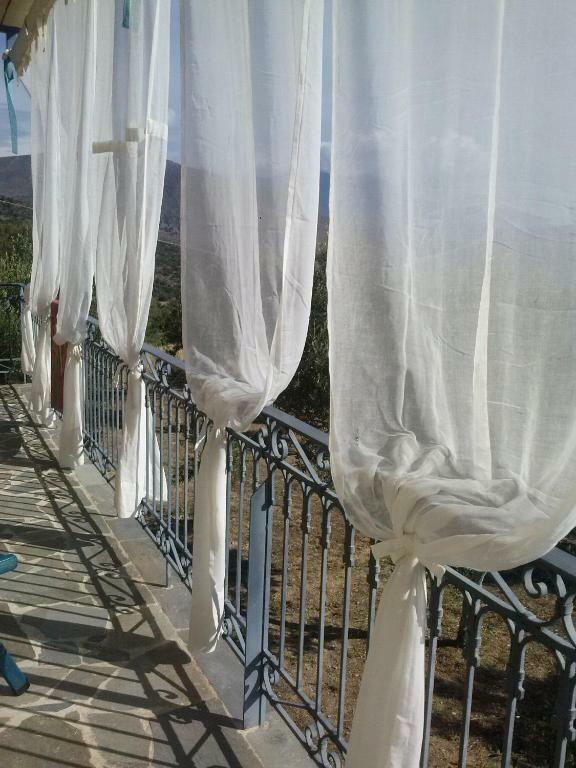 Peaceful with fantastic views over Galixidi from the balcony. Very attentive and welcoming hosts. Perfect place to relax. Excellent base to visit Delphi and the typical coastal villages. Stunning views from the Studios (second to none). Unbelievable nice and friendly host. We will come back here when in the region. Excellent hospitality from Dimitra. 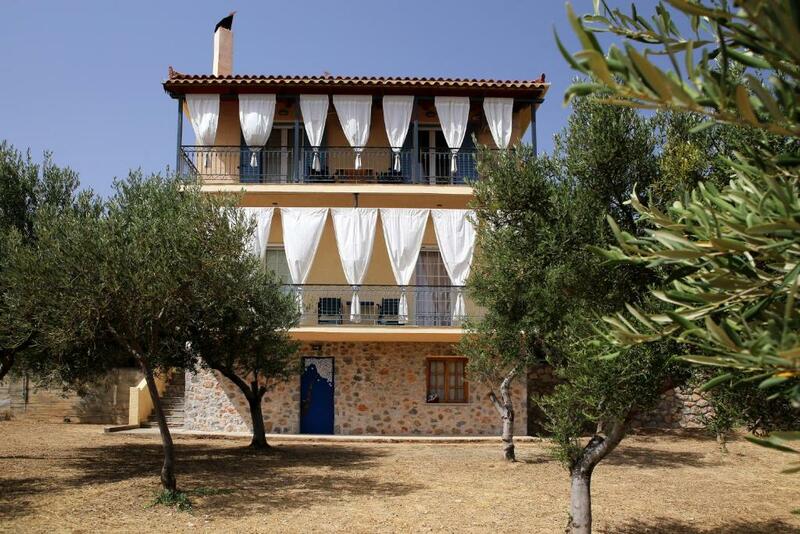 A good choice for those wanting to visit Delphi but stay somewhere different. Galaxidi is a lovely town. BTW there is a paved road - don't let your GPS take you up the dirt track! 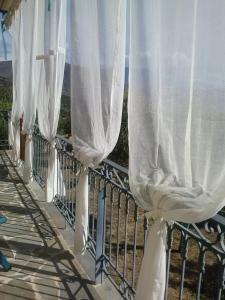 Very relaxing place, we had a view on the olive trees, the see and the small surrounding hills. Our hosts were very kind, every day we had a home made dish to discover. The place is not very far from Galaxidi city if you need more animation, it's a 5 to 10 minute drive to get there. Hope I will be able to come back to Greece one day! Exceptionally thoughtful hosts. Great view. Ideal to visit Delphi. The host was delightful and the property had amazing views from the balcony. It was in a beautiful setting. The host was also not intrusive and brought us a delicious breakfast every morning. The apartment had ample space, was well equipped with fully functioning air conditioning and excellent wi-fi. Lock in a great price for Studio Maistros – rated 9.7 by recent guests! The pet-friendly Studio Maistros is located on the Holy Trinity Church Hill, 1.9 mi from the center of Galaxidi. Nestled among hundreds of pine and olive trees, rooms offer panoramic views across the Corinthian Gulf. Each apartment at the Maistros Studio is spacious and stylish. 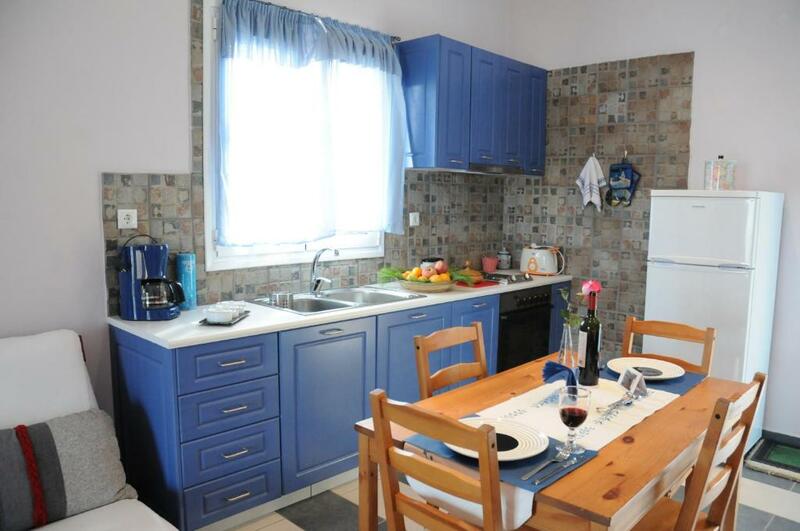 Fitted with modern and bright decor, rooms have fully equipped kitchens, dining rooms and balconies. For convenience, the Studio Maistros provides free Wi-Fi throughout the hotel, and free onsite parking. 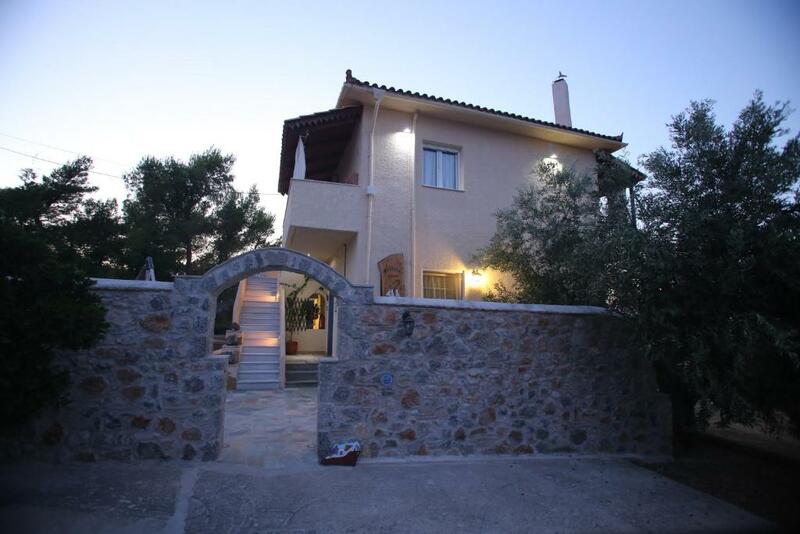 This property also has one of the top-rated locations in Galaxidi! Guests are happier about it compared to other properties in the area. When would you like to stay at Studio Maistros? Spacious apartment including air conditioning, seating area, kitchen and private bathroom. 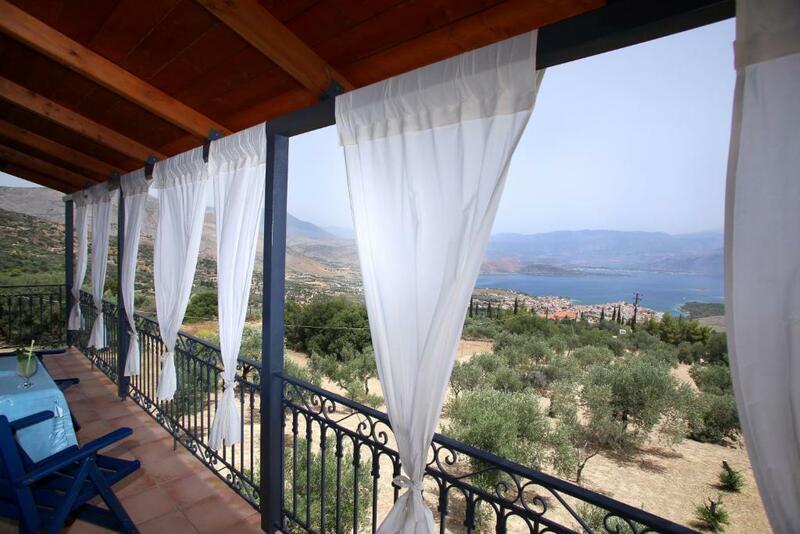 Features a balcony with views of the Corinthian Gulf and Mount Parnassus. This quietly set double room features views of the estate and and spacious private veranda. A double bed is available. The Maistros Studios offers visitors comfort, nice decoration, and fully equipped kitchen. 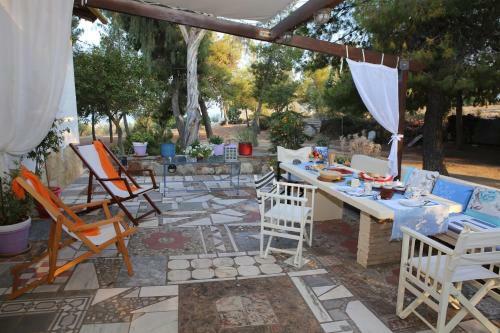 It has a wonderful panoramic view of the sea and Mount Parnassus and offers peace and quiet in a natural environment. Our breakfasts are made by us with quality products of our country and we offer it with love and Greek hospitality. The Maistros Studios, made with love from us, because always we hosted at our home friends and relatives. We know people from all over the world and we have many friends. The created slowly and always add something new and renew. This pleases us and satisfy our guests. It is a beautiful area with pines and olive trees and the houses are far from each other. The view is panoramic and looks to the visitor Parnassus and under the sea. They can walk in nature mileage and visit monasteries, churches and museums. Also to walk the streets of Galaxidi. House Rules Studio Maistros takes special requests – add in the next step! Please inform Studio Maistros of your expected arrival time in advance. You can use the Special Requests box when booking, or contact the property directly using the contact details in your confirmation. The view!!! The kindness of the owners. Nothing really. It was a bit tricky to find initially and Google Maps wasn't much help. It was beautiful and peaceful because it is out of town, high on a hill - but this does mean you need a car if you want to stay.